Have a look at this handsome wall panel designed for this large reception area. 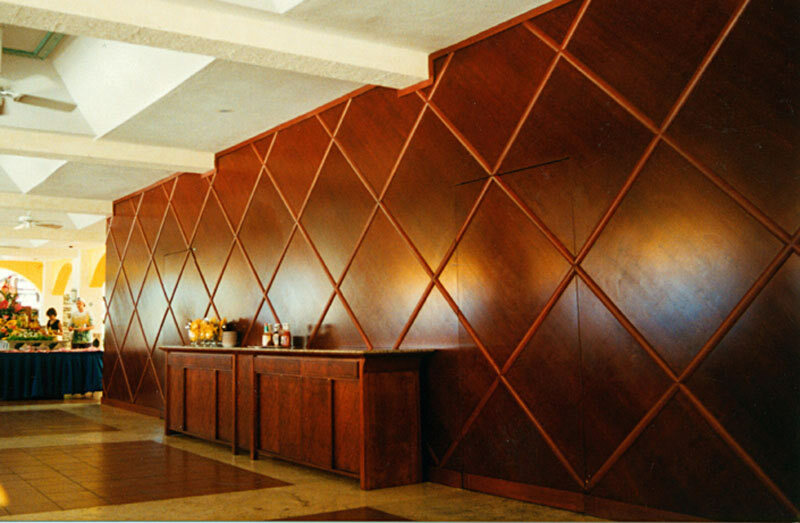 The wall is composed of a cherry-colored wood and features criss-crossing molding that adds impact. Look carefully and you’ll notice a small door has been worked right into the wall.